One of the reasons I held off for ages from posting these easy recipes (are they even recipes?) for how to make store-bought pantry items at home is that I was missing the photography factor. 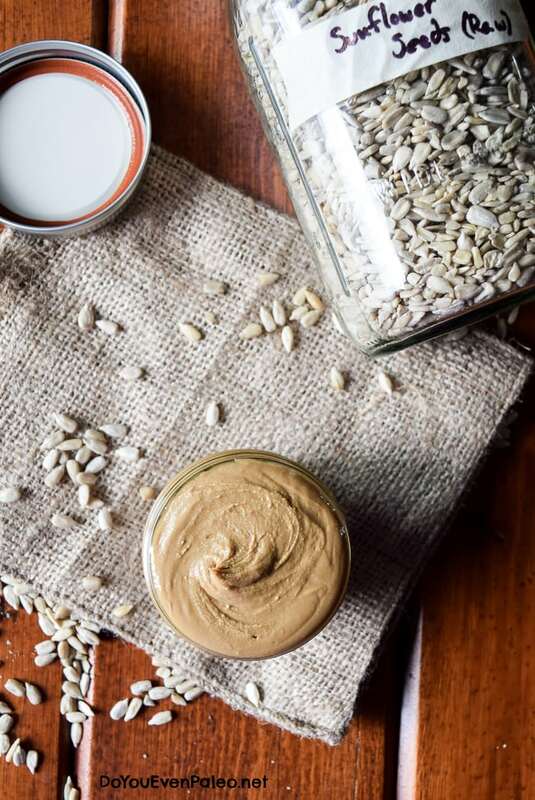 Let’s face it, you can easily Google “homemade sunflower seed butter” and get a billion results. I wanted to be able to add to the masses with more than the same-old tutorial – I wanted to share gorgeous pictures, too. I think I managed that. I know that pride is one of the seven deadly sins and everything, but I’m so goddamn proud of how these pictures turned out. They make me pause. They make me remember the “peanut butter” flavor. They make me want to run to the kitchen and make another batch immediately. And that’s the point. So I must have succeeded! Now if only every photoshoot could go this well. In addition to photographing food, I’ve also found a hobby in photographing local CrossFit events. I definitely feel like my food photography has improved more than my athlete photography. Still, they’re both skills to keep improving on. In the end, that was the point of getting a DSLR – learning and improving on a new skill. And even if nothing comes of it monetarily (let’s face it – most bloggers start nowadays just to try and earn and income), I’m at least proud of what I can create. I mean look at these pictures. how could I not be proud? Preheat oven to 350. Line a baking sheet with parchment paper and spread out the sunflower seeds. Bake for 5-10 minutes, until slightly golden brown. Add roasted sunflower seeds to food processor or high-powered blender (I use a Vitamix) and blend until smooth. It takes a few minutes. Be patient and you will be rewarded! Yields about 1 cup of sunflower seed butter. Hey-o Mary Jo! I appreciate you stopping by. It’s a bummer that my words bothered you, but I am an atheist and my life is pretty awesome as it is! Hope you have a wonderful day! Pingback: use it up. – thoughts. 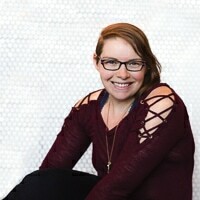 Hi Chelsea! I just tried to make this and after 30 minutes of processing it on high it ended up only grainy. I tried adding about 2 T of olive oil and yet, it still ended up grainy with a little bit of the same texture as yours. I’m not sure what i did wrong, I toasted for 10 minutes, until golden brown, and put it in the food processor on high. And the color was completely off. Have any tips I could try next time? Thanks! Did you start with raw sunflower seeds? The only things I can think would cause the oils to not release are if the sunflower seeds are pre-toasted (and thus dried out), or if there weren’t enough of them. If you’re starting with too few sunflower seeds for the size of your food processor, there’s just too little for the blades to hit. I’d also make sure to stop every couple minutes to scrape down the sides of the food processor to make sure the seeds aren’t just sticking to the sides. Whenever I have trouble with my nut and seed butters (like after 10 minutes, no progress), I often just turn the blender/food processor off and walk away for an hour. That gives the oils a little time to release. Then I’ll turn it back on, stopping to scrape the sides occasionally, and usually that gives me the smooth texture I’m looking for! I hope that helps, Amanda! Recipe looks great! How long will this keep for? I don’t eat sunbutter super often! I’ve kept it for months at a time. 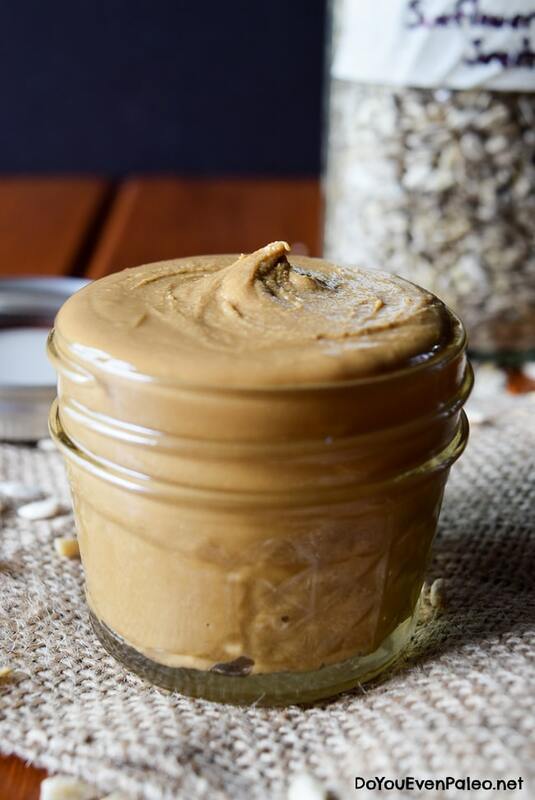 It’s similar to peanut butter or almond butter – as long as it’s in a sealed container, it’s good for quite a while! Could you add chia seeds to this? If so, how would you recommend I do that? Hey Kelli! 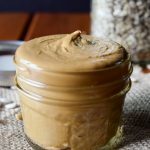 I wouldn’t add chia seeds to this, just because this is a base recipe for making sunflower seed butter – just like making peanut butter or any nut butter! If you want to use it in a recipe with chia seeds (like this one: Chunky Monkey Chia Pudding ) or swirl chia seeds into the sunflower seed butter…that’s totally up to you! 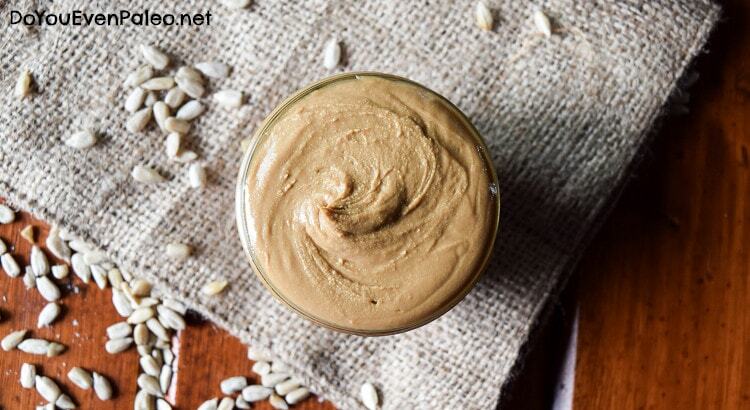 Use the sunflower seed butter for whatever kitchen dreams you have. Hope that helps! Love this recipe, just made my first batch! Excellent photos too, really got my attention 🙂 Question : does this need to be kept in the fridge? Thanks so much ! Keeping it in the fridge is optional! I usually don’t…however, the oils will become rancid after a couple months. If you store it in the fridge, it will keep much longer. Don't subscribe All Replies to my comments Notify me of followup comments via e-mail. 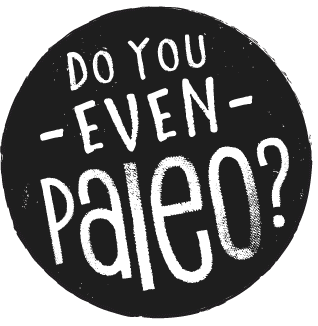 You can also <a href='https://www.doyouevenpaleo.net/comment-subscriptions/?srp=970&srk=87505361eee98908ddf6ccb8681f50d6&sra=s&srsrc=f'>subscribe</a> without commenting.